WEST LAFAYETTE, Ind. 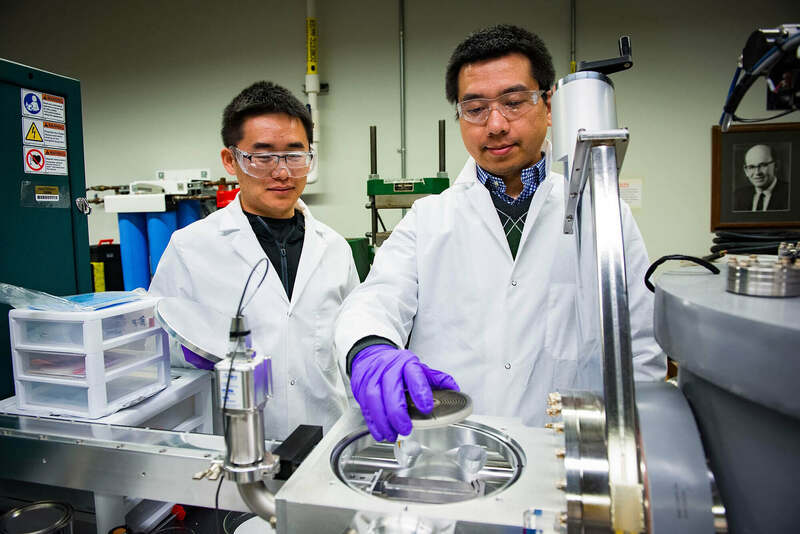 – Researchers have demonstrated how to create a super-strong aluminum alloy that rivals the strength of stainless steel, an advance with potential industrial applications. The most recent paper was published online Jan. 22 in the journal Advanced Materials. The earlier paper was published in November in the journal Nature Communications. The research was mainly funded by U.S. Department of Energy’s Office of Basic Energy Sciences, Materials Science and Engineering Division. The researchers have filed a patent application through the Purdue Research Foundation’s Office of Technology Commercialization. The transmission electron microscopy work for the research was supported by a new FEI Talos 200X microscope facility directed by Haiyan Wang, Purdue’s Basil S. Turner Professor of Engineering; and the “in situ micropillar compression” work in scanning electron microscopes was supported by Purdue’s Life Science Microscopy Facility, led by Christopher J. Gilpin, director of the facility. 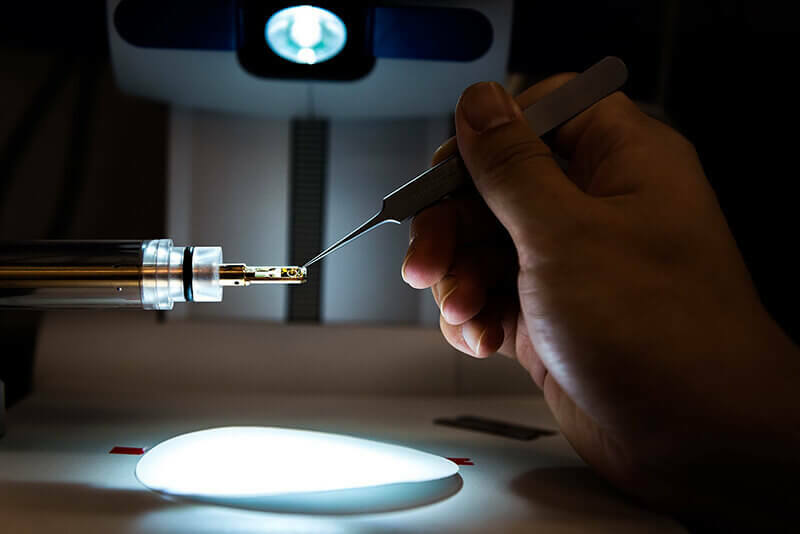 These advanced microscopy facilities were made possible with support from Purdue’s Office of the Executive Vice President for Research and Partnerships. The team included researchers from Purdue’s School of Materials Engineering, Department of Materials Science and NanoEngineering at Rice University, the Department of Engineering Physics at the University of Wisconsin-Madison, State Key Lab of Metal Matrix Composites, the School of Materials Science and Engineering at Shanghai Jiao Tong University, Department of Materials Science and Engineering at China University of Petroleum, California Institute of Technology, Louisiana State University and the University of Nebraska-Lincoln. A complete listing of co-authors is available in the abstracts. Aluminum typically deforms via full dislocations due to its high stacking fault energy. Twinning in aluminum, although difficult, may occur at low temperature and high strain rate. However, the 9R phase rarely occurs in aluminum simply because of its giant stacking fault energy. Here, by using a laser-induced projectile impact testing technique, we discover a deformation-induced 9R phase with tens of nm in width in ultrafine-grained aluminum with an average grain size of 140 nm, as confirmed by extensive post-impact microscopy analyses. The stability of the 9R phase is related to the existence of sessile Frank loops. Molecular dynamics simulations reveal the formation mechanisms of the 9R phase in aluminum. This study sheds lights on a deformation mechanism in metals with high stacking fault energies. Lightweight AL alloys have widespread applications. However, most AL alloys have inherently low mechanical strength. Nanotwins can induce high strength and ductility in metallic materials. Yet, introducing high-density growth twins into AL remains difficult due to its ultra-high stacking fault energy (SFE). In this study, we show that incorporating merely several atomic percent of Fe solutes into AL enables the formation of nanotwinned (nt) columnar grains with high-density 9R phase in Al(Fe) solid solutions. The nt Al-Fe alloy coatings reach a maximum hardness of ~ 5.5 GPa, one of the strongest binary Al alloys ever created. In situ uniaxial compressions show that the nt Al-Fe alloys populated with 9R phase have flow stress exceeding 1.5 GPa, comparable to high-strength steels. Molecular dynamics simulations reveal that high-strength and hardening ability of Al-Fe alloys arise mainly from the high-density 9R phase and nanoscale grain size.